Eating this cool and crunchy cucumber salad always reminds me of Germany. It’s commonly included as part of any Salatteller (salad plate) in German restaurants. A Salatteller will often feature a serving of carrot salad, radish salad, lettuce greens, potato salad and this cucumber salad. They’re the best salads ever! 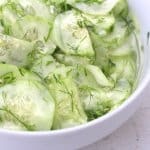 While creamy cucumber salads are also popular in Germany, this oil- and vinegar-based version tends to be served more frequently in restaurants, at least where I’m from in southern Germany. In Germany you can buy dry dill dressing mixes that come in small envelopes, often the Knorr brand. 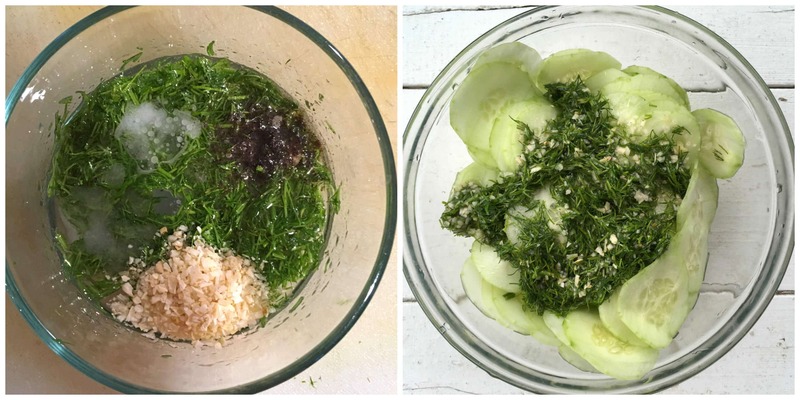 You add oil and vinegar and add it to your cucumber salad or leafy greens. Here’s a from-scratch version that takes just a couple of extra minutes to assemble and tastes even better. Peel the cucumbers and slice them the same width and place them in a medium-sized non-reactive bowl. I like to use my German mandolin for jobs like this to get uniform slices. Plus it goes a lot faster. 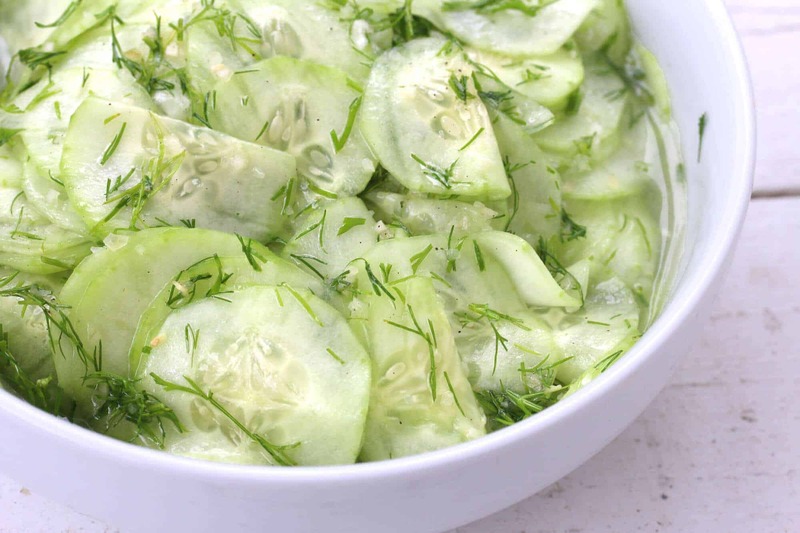 Place the cucumbers in a medium-sized bowl. To make the dressing, combine all the remaining ingredients in a separate bowl and stir to combine. Pour the dressing over the sliced cucumbers and stir to combine. Cover and chill for at least two hours before serving, stirring a couple of times. Add salt and pepper to taste. Fresh and crispy German cucumber salad, just like the kind you know and love from German restaurants! 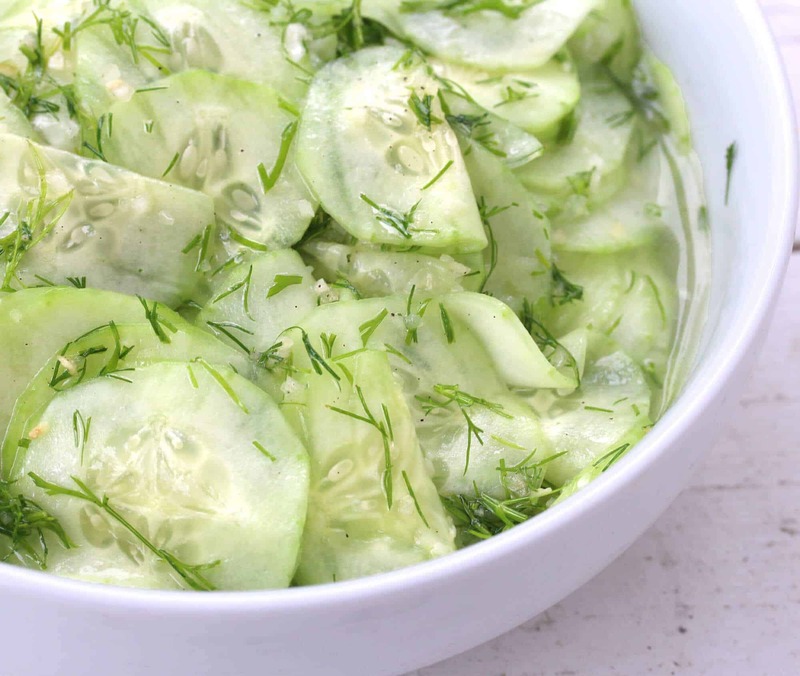 Place the sliced cucumbers in a medium-sized bowl. In a small bowl, whisk together the remaining ingredients. Pour over the cucumbers and stir to combine. Cover and chill for at least 2 hours before serving, stirring it a couple of times. Add salt and pepper to taste. Serve cold or at room temperature. This totally brings me back to my youth. My grandmother used to make this for our family reunion every summer. It was always one of my favorite dishes! I remember having this so often as a child! Brings back such great memories. I know what I am going to do with all of these garden cukes! This looks so refreshing! I love a good cucumber salad! This looks so refreshing! I will definitely be making this! This is so summery and delicious! My family usually throws some Italian dressing on cucumbers. Can’t wait to try your rendition! Who could turn down all those cucumbers! I want this today! This looks like the most refreshing summer salad ever! I love everything about this!! It’s the perfect summer salad! My German mother-in-law made this, and I loved it. I haven’t had it for over 20 years, and I am looking forward to having it again. I hope it is as good as she made it. I hope so too, Jackie, let us know what you think! My German Cousin made this for me when I visited her in Pfullingen last year. Now I have a hankering for it so tomorrow I pick some fresh cucumbers from my raised beds and make some. There’s nothing better than fresh from the garden, Paul! Pfullingen is right next to one of my favorite castles – Schloss Lichtenstein. Castle Lichtenstein is the picture for August on my Germany wall calendar. Will definitely pay a visit when we go back again. I went there last year. I was in Germany for a family reunion in Witzenhuasen. The year before the wife & I stayed with them and ventured all around that part of the country (B-W & Bayern) eating and enjoying all the food and beers. This was one of my family’s favorite salads when we lived in Germany for 3 years. I’ll be making this today with the cukes from my garden. Thanks! My mother made this when I was a kid and we loved it. We make it with oil and vinegar and a splash of milk….nope doesn’t curdle! Love the crunch of the onions and cucumbers; Tiny bit of sugar makes all the difference, too. 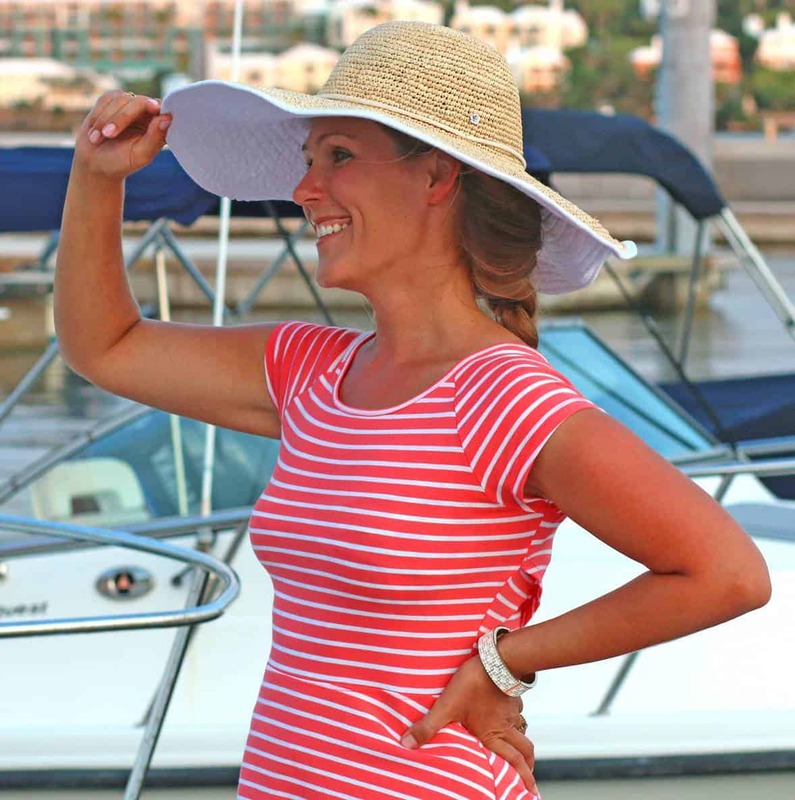 Hi Gudrun, thanks for sharing! Yes, that touch of sugar really does make all the difference. friends and family LOVE it!!! Awesome, Wayne! Yes, there’s also a creamy version of cucumber salad that’s popular in Germany. Hooray for the streusel cake, I’m so glad you enjoy it as much as we do, thank you! Also, if you score the peeled cucumber from top to bottom with the tines of a fork all the way around, the slices will have little scallops all the way around. Very pretty presentation. I also grew up with this having parents that immigrated from Hamburg. One of my favorites as well as the other variations like the tomatoes only version or tomatoes and cucumber blend. Same basic vinegar and oil dressing. But no matter which variations one makes, never forget the sugar. Since there are many regional variants in Germany I noticed that in the North the common herb of choice was finely chopped parsley (curly) instead of the dill. My grandmother grew her own dill and parsley as well as cucumbers and tomatoes of course (along with potatoes, carrots, onions, garlic, beans, peas, cabbage, kale, beets turnips, poppies for poppyseed cake, strawberries and raspberries). Man, their garden was the best. Fresh garden grown ingredients are definitely a major enhanceement to the experience. She used to make the parsley version on Sundays in the summer once the cucumbers started coming in. and the dill version during the week. This year I finally managed to grow the ingredients for this salad for myself. I was just looking for something with the proportions for the dressing and this recipe popped up near the top. The salad turned out pretty much exactly like my Oma’s. The taste took me straight back in my mind to their little farm kitchen in the summers. Love how authentic foods can trigger such deep emotional responses. Thanks for posting. Our German recipe for creamy cucumbers was : place sliced cucumbers in salt water for an hour to tenderize a bit. Then add celery salt, a dash of sugar and 50/50 sour cream and mayo in amounts proportionate with the amount of cucumbers- to taste. If you add onions, marinate for a few minutes in white vinegar to take out bite. Thanks for sharing your recipe for creamy cucumber salad, Ajperry! Very interesting salad and I would try this version of the recipe. In past, I have tried another cucumber salad with greek yogurt. But I love the idea of making dill leaves dressing so would try it. Thanks, Kirti. Yes, I love the yogurt version as well, they’re both excellent. We had a large party which had lots of leftovers. Can this be preserved by water bath canning? Hi Lynda, unfortunately no, the texture would be very poor. Also, I don’t think the acidity level is high enough for water bath canning anyway. Hi Lynda, for food safety reasons that would have to be pressured canned, not water bath canned, and that would likely make the carrots mushy. I grew up with this also and still make it. We always put a little sour cream in to make it creamy. Sometimes I cheat and just use a good organic ranch dressing. My mother is Austrian and makes salads to die for. The above salad is one she makes and sometimes she adds finely onions that she soaks in boiling water for about 30 secs to 1 min before adding to the salad. Both are fabulous. Thanks for the tip, Judi! You left out one important step. You need to salt the slices and let them sit for a few hours to get rid of most of the water. If you don’t, the salad will be very watery.Pour off the water before you add the dressing. 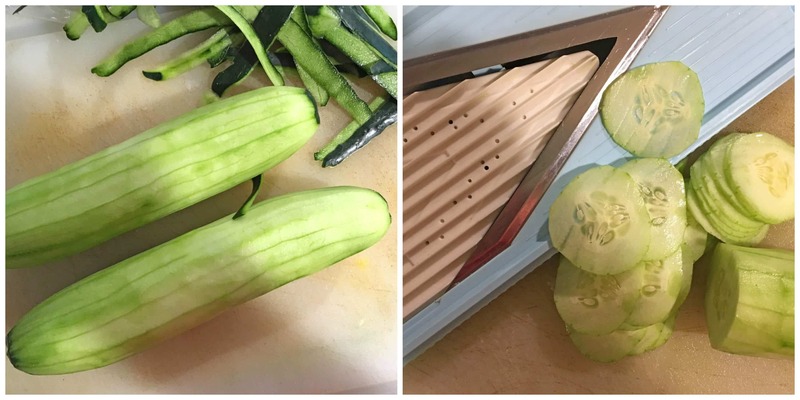 When pickling cucumbers for canning I follow the salting step for safety reasons – you don’t want water to dilute the vinegar mixture or it will lower the pH level, making it unsafe for long-term storage. This salad however will be liquidy anyway from the oil and vinegar and you’ll want to use a slotted spoon for serving regardless, so I don’t bother with the step of removing the water in advance. I am of german descent but my husbands parents came to Canada from Germany in the 50’s. As I child I vaguely remember eating some type of salad with cucumbers. My first dinner with my inlaws, my mother in law served her cucumber salad. It was a creamy one. I fell in love instantly so I asked her for the recipe. Hers is pretty mucj like yours but uses sour cream instead of oil. I tried your version and find it just as appealing. Thank you, Christine, I’m glad you enjoyed it! I like both equally as well and make them interchangeably. Thanks again for the feedback!